Sedona, Arizona – January 25, 2011 – WeddingWire, the nation’s leading wedding technology company, is thrilled to announce Sterling Weddings of Sedona has been selected to receive the prestigious annual WeddingWire Bride’s Choice Awards™ 2011 for Arizona Officiant! Sterling Weddings of Sedona stands among the top five percent of wedding professionals in the WeddingWire community, representing quality and service excellence within the wedding industry. Awards were given to the top wedding professionals across 20 service categories, from wedding venues to wedding photographers, and were based on the overall professional achievements throughout the past year. 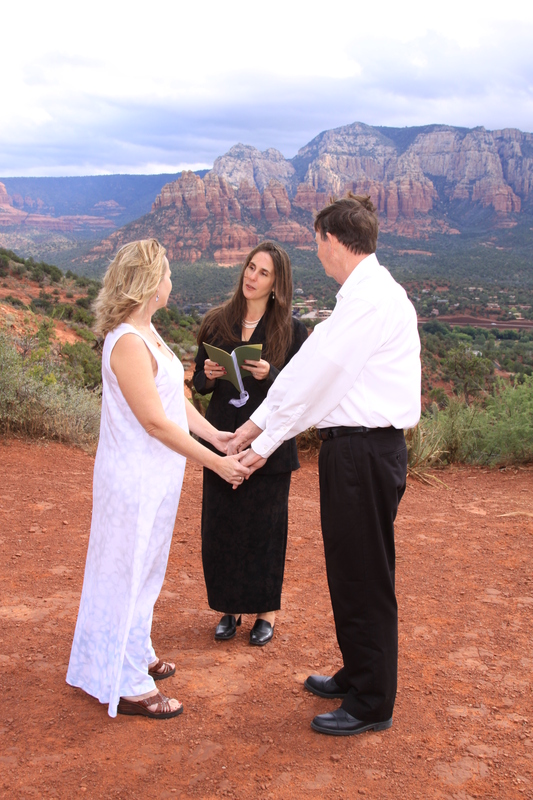 We are happy to announce that Sterling Weddings of Sedona is among the very best Arizona Officiant within the WeddingWire Network, which includes leading wedding planning sites WeddingWire, Martha Stewart Weddings, Project Wedding and Weddingbee. We would like to thank our past clients for nominating us to receive the Bride’s Choice Awards™ 2011. The Sedona Bridal Show was a wonderful success Sunday! Happy brides and grooms visited with me at the Sterling Weddings of Sedona booth and so many other wedding professionals. I heard wonderful story after wonderful story of first dates, engagements, and many other ways that Fate stepped in and magically brought two souls together. Cliche’, I know, yet I get to hear first hand these stories of chance meetings, one can not help but to believe in Fate. Call me a romantic and perhaps that is why I love to write the wedding ceremony, place it into a keepsake vow booklet and have the honor to officiate the marriage of two people in love. Stay tuned for the next great event happening in February…Sedona Bridal Boot Camp and Wedding Soiree. Sterling Weddings of Sedona specializes in customizing and creating the wedding ceremony to reflect the uniqueness of each bride and groom. Weaving two souls into once dance of a wedding ceremony is expertly crafted by Rev. Shanandoah Sterling. Her combined heritages of Native American and European teachings brought Shanandoah into ceremony starting in 1985. She is honored to share with you her vast knowledge of sacred ceremony and make the moments of your wedding ceremony personalized and special to reflect your expression of love. Rev. Sterling works exclusively by incorporating the individual qualities of the bride and groom and weaving their story from their first meeting, to falling in love, their engagement and finally their sacred union of marriage. Shanandoah takes the ribbons of the bride and groom and dances these two souls until all minor aspects of their ceremony has their unique signature upon it. Sedona offers many amazing backdrops to be married under and why not have your ceremony be reflected to match the splendor of this transpiring red rock country. With Sterling Weddings of Sedona you have the unique touch and signature of working with an expert in the area of ceremony that will create your dream wedding ceremony that will be talked about for years to come. Whether you are looking for traditional, civil, inter-faith, renewal, Native American or more, Sterling Weddings of Sedona can assist with all your wedding ceremony needs. Rev. Sterling believes that a wedding is a sacred day to be a part of, and the bride and groom deserve all the respect one can bestow to them to make their journey into marriage a glorious beginning! Take a blank piece of paper and write down a highlighted list of what you ‘see’ for your wedding ceremony ~ Then compare it with your beloved and see the similarities and difference. Who do want standing up with you on your wedding day? 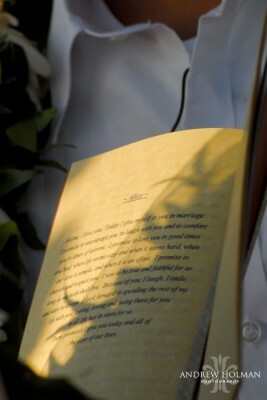 Do you want a prayer, poem, words of wisdom to read at your ceremony? What personal vows do you want to say to your beloved on your wedding day? Remember this is your day and you do not get it back. Make it as personal and special as you are!